This price is a mini cork glass jar model;. In addition to the donuts can stand independently, other styles need to stand with glue. Do not pick money, spot a variety of random mix (note: inventory changes quickly, the spot does not necessarily have 9 models). Autours du feu de camp. - Flickering campfire lights! Dolls / poupée cars electronique music instrument. Doll House. Contactez nous! Nous communiquerons avec vous le plus rapidement possible. 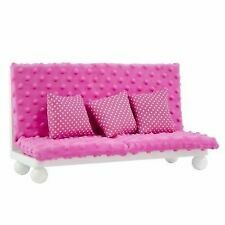 Set of BARBIE/DOLL FURNITURE! Cute! Take A Look! 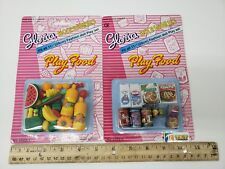 One (1) Fashion Royalty FR Loft 1:6 Acrylic Display Table NRFP. I have photographed it with one of my own display tables so that you can see how it looks when it is put together. Integrity only produced these for one year and they are no longer available for sale. Seat converts into bassinet. 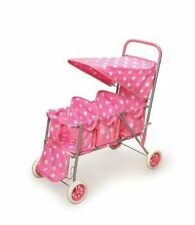 3-in-1 Doll Stroller with adjustable handle. Stroller includes canopy and large storage basket. I do my best to give as accurate info as I can. Perfect for the outdoor lover - set includes a fishing pole (that actually "hooks" the fish), a fishing net, 3 different hand-painted fish. Safety Tested! 2014 The Queen’s Treasures ®. Doll not included. Safety Tested! 2014 The Queen’s Treasures ®. All major credit cards accepted! Check out our. 28 pieces including fireplace and Christmas tree plus many accessories. Dolls not included. 1 Christmas tree with base. 1 string of real light up lights. 1 star tree topper. 2 Christmas presents with lids. Egg shape swing chair as picture. Pink Unicorn 18 Inch Doll Bedding Set Blanket Comforter Set NEW! Suits 11"-14" doll - Blythe, Icy, BJD, Barbie, Fashion Royalty. Gorgeous French Provincial armchair. Carved timber painted white with gold highlights. Upholstered in a soft pink cotton. Timeless Collections Navy Blue Doll Trunk w Leather Straps for 11-16"
The inside is papered with pink and white checked paper and has a drawer as well as a hanging bar with 4 white hangers. The trunk is in overall excellent condition with very minor wear. 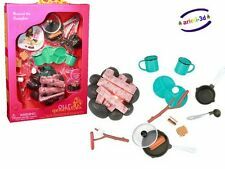 So fun for doll lovers! Boyd’s Bear Wood Twig Chair Doll Bear display 8”x7”x5” Rustic Decor NWT!. Condition is New Without Tags! Measures: 8” x 7” x 5” Comes From A Clean Smoke/Pet Free Home Shipped with USPS Priority Mail. You and your 18" doll (not included) can stir up all sorts of sweets, including cupcakes, heart-shaped cookies and chocolate cake. Leftovers can be placed in the refrigerator or positioned atop the cake stand until tomorrow. Safety Tested! 15 piece set includes 3 wooden Shaker-style boxes with lids, plus round and rectangular "gathering" basket like the ones Laura and Mary used to pick berries. Check out our. All major credit cards accepted! Its easy to assemble and made of Rigid cardboard. Has cut-outs to decorate the corners of the trunk. It has a slide out drawer and closet rod and handle. All you need to do is buy 3 yards of coordinating 1/2" ribbon to complete the trunk. In pre-loved condition with normal play wear. Buy one 18" doll bed or as many as needed. Unscrew the top knob to stack the bed to create a bunk bed. Footboard features a pink heart accent. Bed includes 3 piece bedding with mattress pad, blanket and pillow. Safety Tested! Tripod is 11 1/2" H, Cauldron is 3" in diam. Skillet 3.5" diam. (without handle). Spider fryer 4" diam. 2014 The Queen’s Treasures ®. Check out our. This is not a childs toy;. Scale: 1：6. Condition: Wood on love seat front legs is discolored. Chair: Approx 5"L x 5"W x 7.5"H. Love Seat: Approx 9"L x 5"W x 7"H.
5" Miniature Shopping Cart Buggy Mini Basket Chrome Wire Doll-Size! 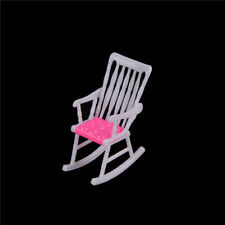 There are numerous pieces of doll furniture to choose from for your baby doll or dollhouse. When you begin looking for furniture, you must consider the size of your doll, your personal style, and durability of the furniture. 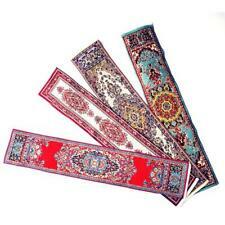 Main and accessory pieces are widely available in a variety of colours and materials. How do you choose doll furniture? When choosing furniture, you should take into account the dolls you have and what you would like those dolls to do. If you want to put a standard size baby doll to sleep at night, you can choose from cribs and cradles. If you have a dollhouse to fill, there are as many types of furniture for it as there are for your own home. You can make your choices based on your style preferences after taking a look at what is available for the size doll or dollhouse that you own. What are some common doll furniture items? 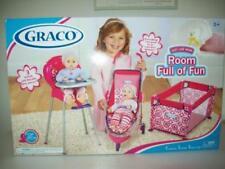 Cribs and beds: Most dolls that children play with are toy babies that need places to sleep. Cribs or beds with pretty blankets to place over the dolls are the most common furniture items. Bedroom sets: Doll furniture, like real-life furniture, is often purchased in sets. For example, a bedroom set consists of a bed, a nightstand, and possibly a vanity. Living room sets: A living room set includes a couch, two chairs, and a coffee table or two. Accessories might include miniature art, vases, and fake plants. Tables: Along with a kitchen table, nightstand tables and coffee tables are standard furniture. 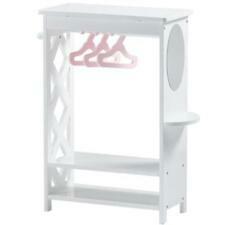 Wardrobes: These handy pieces of baby doll furniture will hold all of your doll's clothes and keep them organized. What are the standard sizes of doll furniture? Doll furniture has a few different standard sizes depending on the type of doll you have. Fifteen-inch dolls are trendy and children enjoy playing with them. Dollhouse sizes range in scale from 1:6 to 1:12, which means every inch is equal to six or twelve feet respectively. What types of materials are used to make doll furniture? Doll furniture needs to be sturdy so that it will endure hours of creative play. Natural materials like wood and fabric are used to make both dollhouse furniture and play furniture for larger size baby dolls. Injection mold plastics, which can be used to make almost anything, are another accepted type of material for toy furniture.